Aquis Entertainment and Executive Sports Entertainment have announced the establishment of QeSports, a joint venture set to invest in the Australian esports market. “Aquis Entertainment’s vision is to provide Australia with next generation entertainment and our move into the esports market is very much in line with our strategy,” said Jessica Mellor, CEO of Aquis Entertainment. “Two-thirds of Australian esports fans are aged 18-34 and that’s a market segment we know very well. This, coupled with our experience in entertainment venue operations, puts us in a strong position to meet a wide range of expanding needs in the esports space,” added Ms Mellor. QeSports will focus on innovation in community and event development, consultancy and the development of purpose built esports stadia infrastructure across Australia and New Zealand. Domestically the Australian esports audience has more than doubled in the past five years according to Nielsen Esports Playbook research. The new business plans to leverage ESE’s experience in traditional sport and their part-ownership of the Bombers along with Aquis Entertainment’s experience in entertainment venue development and management to further grow and monetize that audience. The global esports market is growing at 26% year on year according to research house Newzoo and as media consumption habits continue to evolve, the industry is expected to be worth $1.5 bullion by 2020. Global audiences were estimated at 287 million in 2017 with 20% audience growth predicted between 2017 and 2019. Last week, Epic Games, the publisher of Fortnite announced its push into competitive gaming with a US$100 million prize pool for season 2018-2019. 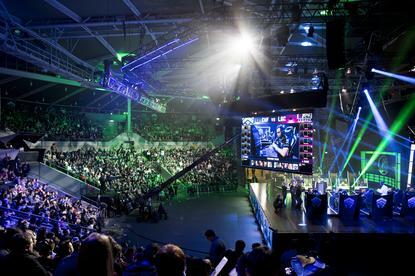 “Esports is disrupting mainstream sport and the growth in audience and engagement should not be underestimated. They’re digital natives, early adopters and high spenders,” said Mr Sawyer.